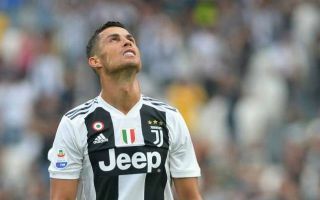 It’s been revealed that Juventus refused to sign both Angel Di Maria and Mesut Ozil this summer, despite new superstar signing Cristiano Ronaldo wanting the club to bring the pair in. According to Don Balon, the 33-year-old asked the club to sign both Ozil and Di Maria when he joined the club this summer, and that the Portuguese sensation was eager to reunite with the duo in Turin. The report also notes that manager Massimiliano Allegri didn’t move for either star as he thought that the duo’s careers were stagnant, something that should be viewed as a a fair reason for not bringing in the duo. Ozil and Di Maria haven’t exactly been the best players in the world these past 12 to 18 months, but that doesn’t mean that they aren’t world class at the end of the day. Ozil only managed four goals and nine assists in 26 league outings for the Gunners last season, as return that we’re sure both him and the club’s fans were disappointed with. Ozil is still undoubtedly class though, and would’ve surely been a great signing for the Old Lady. Di Maria was brilliant in his last season with Real Madrid, as he played a huge part in their Copa Del Rey and Champions League successes. However he is yet to replicate that exact form since his move to PSG, which may have played a part in Allegri turning down a move for the Argentine.